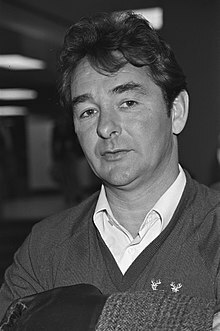 Brian Clough was an English footballer turned manager. During his career he was in charge of Nottingham Forest F.C. and Derby County F.C. He won a lot of trophies, including the European Cup in 1979 and 1980. Clough was an alcoholic. He had a liver transplant in 2003. He died of stomach cancer. This page was last changed on 23 May 2018, at 12:39.